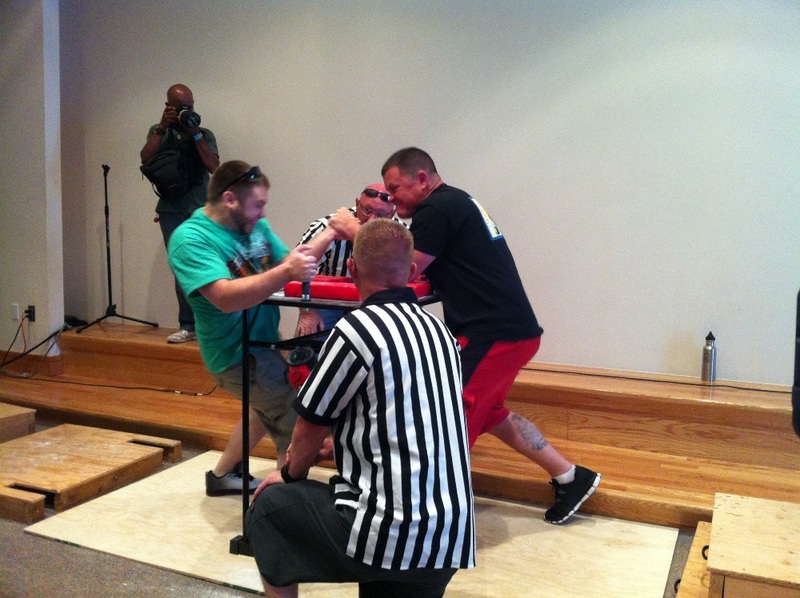 CEDAR CITY – Southern Utah University’s Sharwan Smith Center Theater held a more non-traditional purpose Saturday afternoon, as it was the venue for the Utah Summer Games arm wrestling tournament. 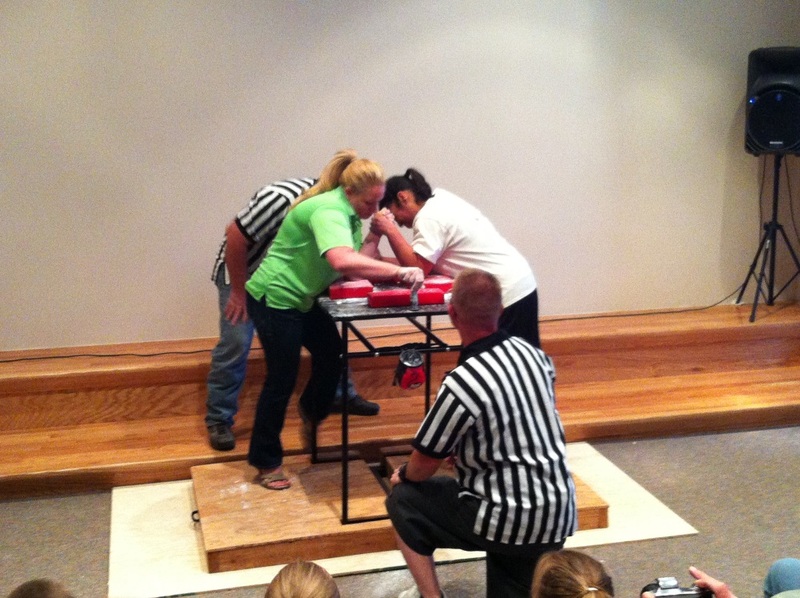 Growing up, many people remember arm wrestling as a fun activity to do during recess and prove who was stronger. For the Kirby family, this definition goes way beyond the playground. 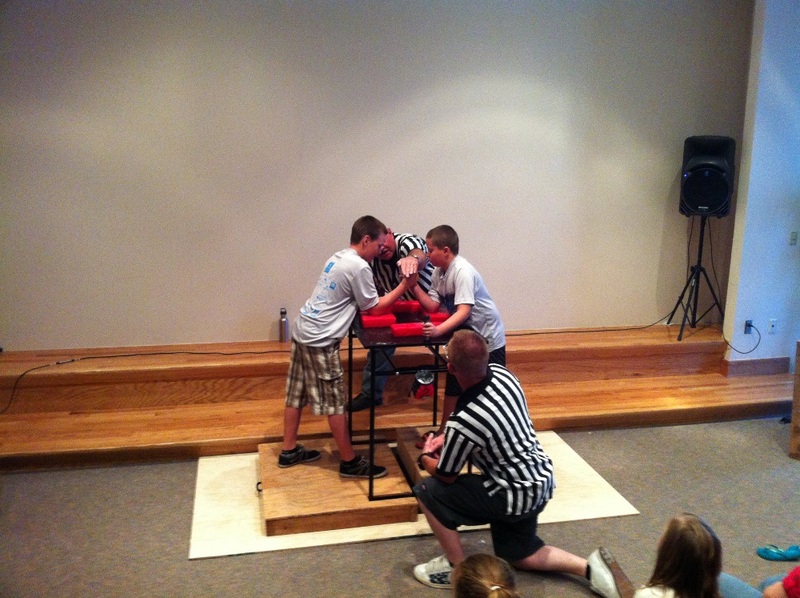 In it’s 28 years, the Summer Games has featured arm wrestling 21 years. Last year the event was cancelled, with no coordinator to take it over. Jeff and Summer Kirby, this year’s event coordinators, brought back the event. The turnout was similar to years past but the number of matches largely increased. 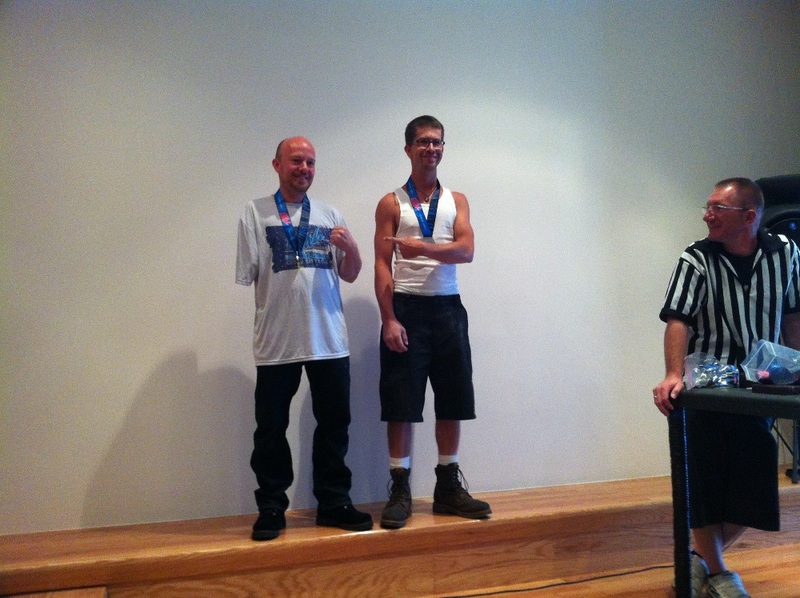 While it came as no disadvantage, seeing he won the gold in his division, Jeff Kirby was born without his right arm. 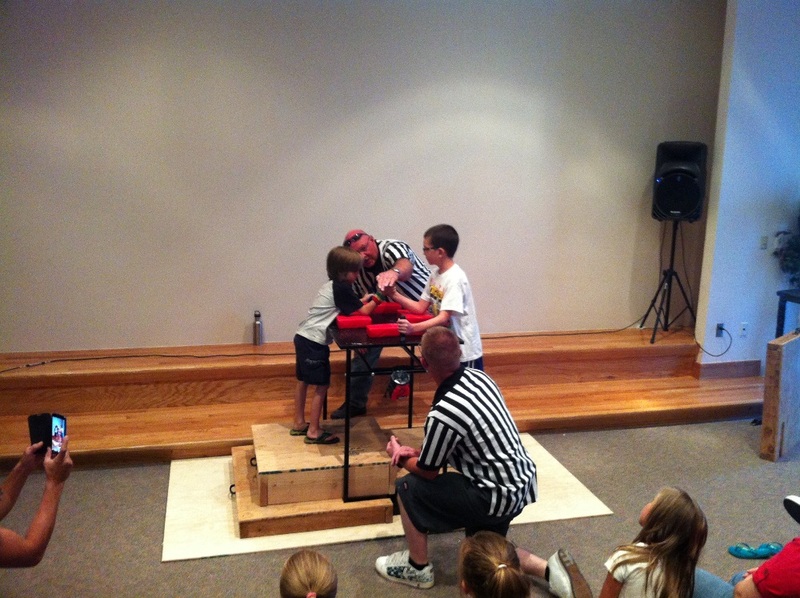 By wrapping his leg around the leg of the arm wrestling table, he is able to anchor himself and gain the leverage he needs. He is also not new to the sport. 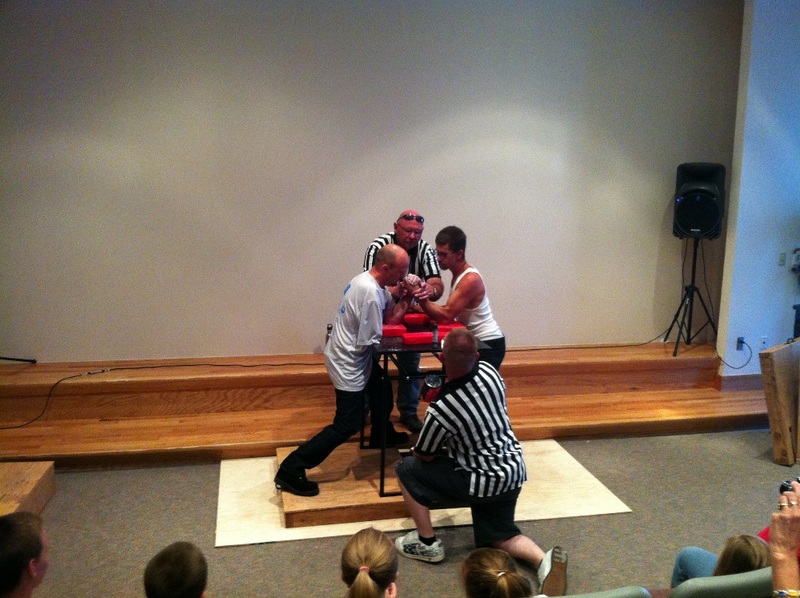 Arm wrestling was put on the back burner as Jeff Kirby faced difficult times. “I went through some mishaps in my life with going down the wrong roads and things like that,” he said. 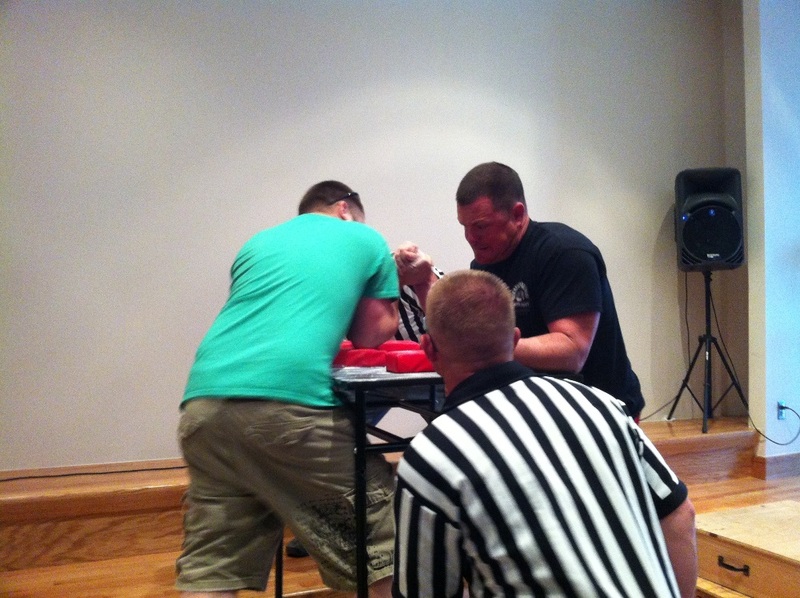 Although Jeff Kirby was able to prevail through difficult times, he said arm wrestling was something he had lost from his past. “I started looking at arm wrestling tournaments online and my wife, Summer, said, ‘Why don’t you start doing it again,’” Jeff Kirby said. 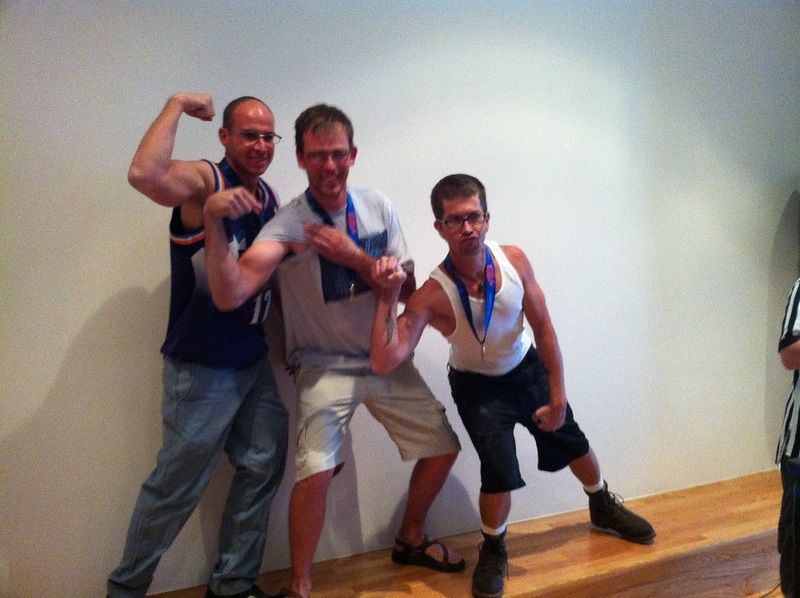 Four years ago he found the Utah Summer Games tournament. The event and the sport have now become a family affair. The sport is something that you can do together and grow together as a family, she said. Along with Jeff Kirby, Summer Kirby, daughters Alexis (16-years old) and Alissa (6) and son Jarett (11) also competed, bringing home a silver medal each. Summer said she was proud of her kids and hopes to make the event better each year. Along with arm wrestling, the second day of competition included adult bowling, equestrian all breed open show, horseshoes, mototrails, power lifting and trap shooting. No events will take place Sunday through Tuesday, with competition resuming Wednesday.